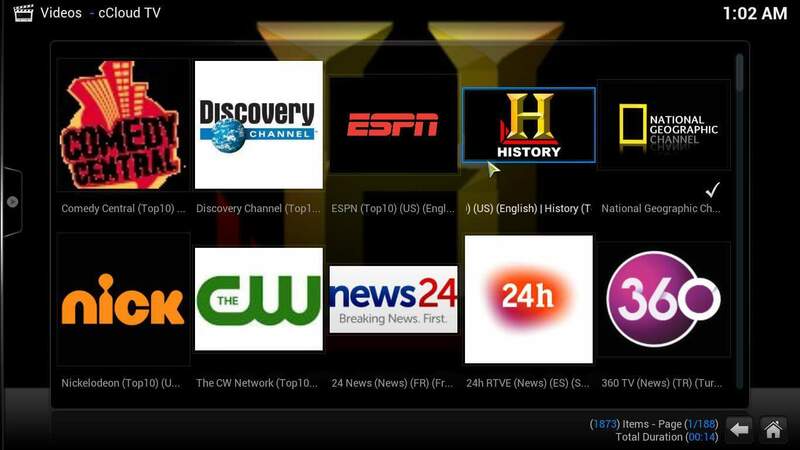 With the cCloud TV addon you can get many, many TV channels from around the world on your living room. To install Kodi cCloud TV addon you want to have the Fusion Installer properly set up on your HTPC. 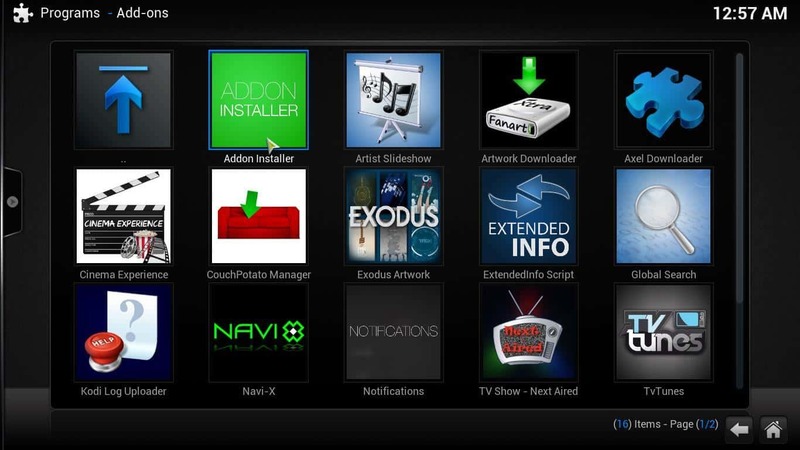 You can install it following our guide to install Fusion Installer on Kodi. Once that's done, head to Programs -> Program Add-ons and select Addon Installer from among the plugins you have on your HTPC. Use the Addon Installer (or Fusion Installer) to get cCloud TV easily installed on your Kodi media player. After you click this icon, look for an item labeled Search by: Addon/Author, and then click it. On the dialog that appears, type cCloud TV, and then click Done. This will search for the addon, and after finding it, let you add cCloud to Kodi. 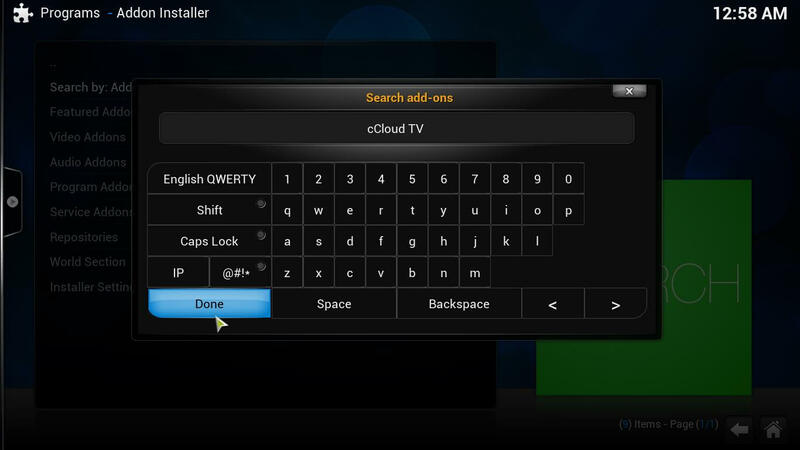 Type cCloud TV on the search box and click Done, to search for the cCloud TV addon. The Kodi cCloud TV addon icon should show up (or its name, in a list of search results). 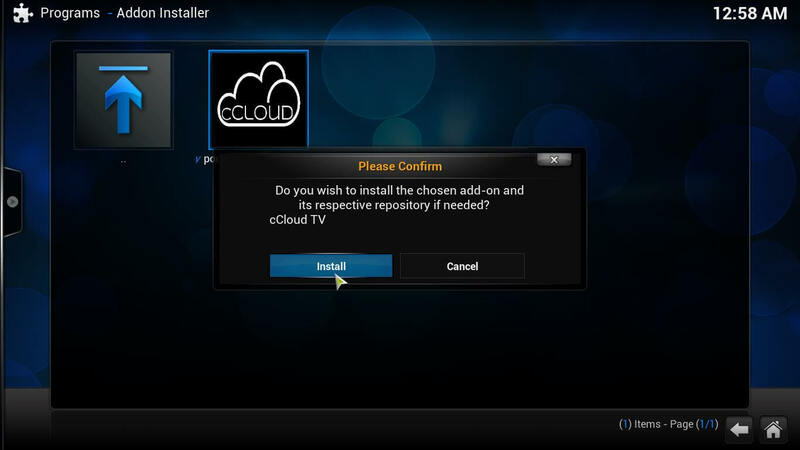 Click cCloud TV, and then click Install cCloud TV. A confirmation dialog will appear, asking you whether you want to Install the addon or Cancel the operation. Click Install. 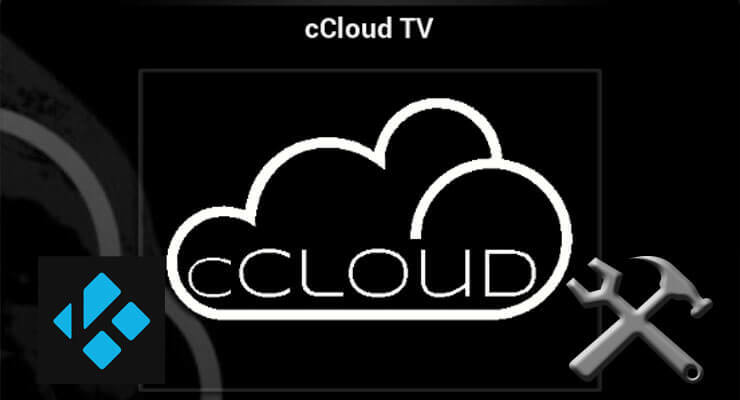 Click Install to confirm, wait a few seconds and enjoy all the content cCloud TV has to offer! Wait a few moments and a confirmation pop-up should show, notifying you that the installation of the Kodi cCloud TV addon was successful. Congratulations! Now you can watch the streams available from this addon and add more content to your HTPC. Simply head to Videos -> Video Add-ons -> cCloud TV, and get ready to browse all of its categories and lists. If you want to add even more content to your HTPC, don't forget to check our list for the 10 best Kodi movies addons or spice up your HTPC with these best Kodi addons for sports. The possibilities are endless!